Ave Six? Wall Street Coffee Table. Chrome/Black. 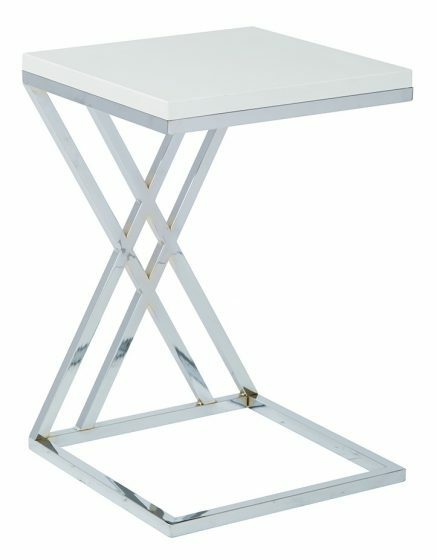 Look no further for the perfect contemporary match for the home or office than the Wall Street multi-purpose side table. Absolute functionality meets aesthetic in an asymmetrical yet weight-balanced side table. A chrome finish, art-deco inspired neck connects a sturdy square base to a wood veneer top. It’s the durable yet attractive solution to those loose knick knacks that need a place in your living or working space.